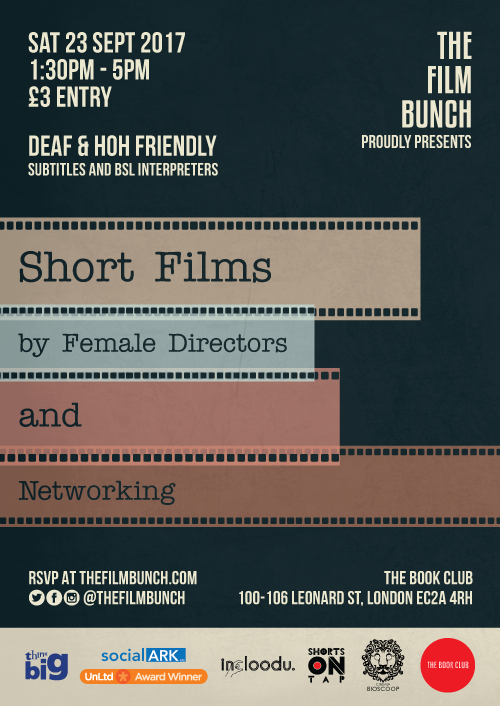 Join us this September as we celebrate female directors! Although the number of films directed by women is rising, we still feel they are underrepresented. We have nine varied short films to screen, something for everyone to enjoy! A great opportunity to check out new talent and meet collaborators. We will provide English captions and British Sign Language interpreters. We'll confirm ASAP if there will be a Q&A. Find out more about what we do at The Film Bunch and get involved. Open to everyone, feel free to invite your friends! We are at the bar downstairs so venue is 18+.